I know quite a few people who don’t give a flip about Halloween. I know people who like it just fine, but it certainly isn’t the holiday they pine for all year long. Well I’m not one of those people. I love Halloween. It is my favorite holiday and if you’ll give me a few minutes (or longer I’m not sure how fast you can read) I’ll explain to you why I love it so much. 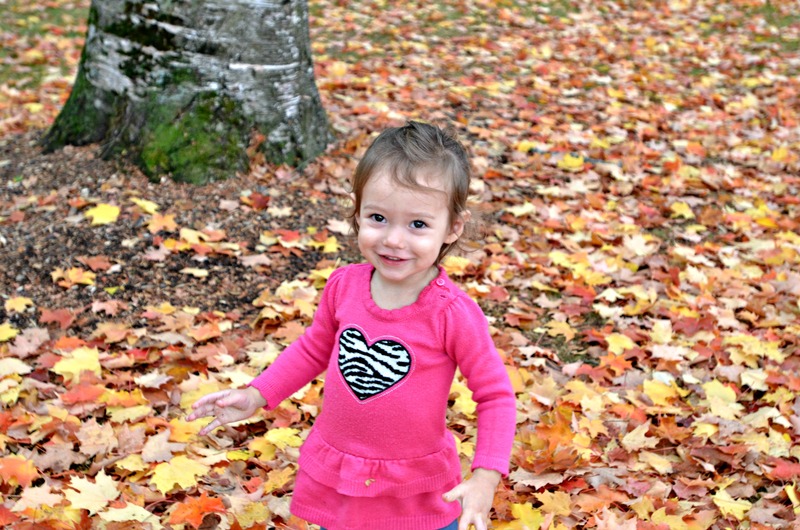 Catarina loves this time of year! First of all I am aware that Christmas (if you’re a Christian) is the most popular holiday and because of what it symbolizes makes it one of the best. (Although I’d argue that if I were to take a Christian approach at my holiday loving I’d prefer Easter because Jesus did the ultimate mic drop and I get chills just thinking about it) And if you aren’t a Christian you might prefer some other holidays like say Hanukkah, Yule or Eid al-Fitr. But here is why I personally love Halloween. First of all Thanksgiving is great, but it has become such a hypocritical holiday. Thanksgiving has turned into “Black Friday Eve” or the “Thursday Before Cyber Monday.” The day after we give thanks for all we have we gear up to spend money on things or gifts that no one really needs. Also, I grew up in a giant Mexican family where family dinners involving extended family members happened monthly if not weekly, so Thanksgiving was rarely this special time to see family members we don’t always see. Now that I live so far away from my family that’s changing a little, but it’s not enough to shift my opinions on Thanksgiving. Plus I don’t eat turkey so I don’t really get jazzed about that either. Now on to Christmas. Christmas is great. The music is wonderful, the lights and decorations are amazing. I also really like giving gifts and because of my faith, Christmas is more to me than just a time to wear red and green and wait up for Santa Claus. Christmas is definitely a close second favorite. But, Christmas is stressful. When money is tight you feel guilty about not being able to give good gifts and if you can’t travel to see family then you’re stuck feeling a little lonely come Dec. 25. 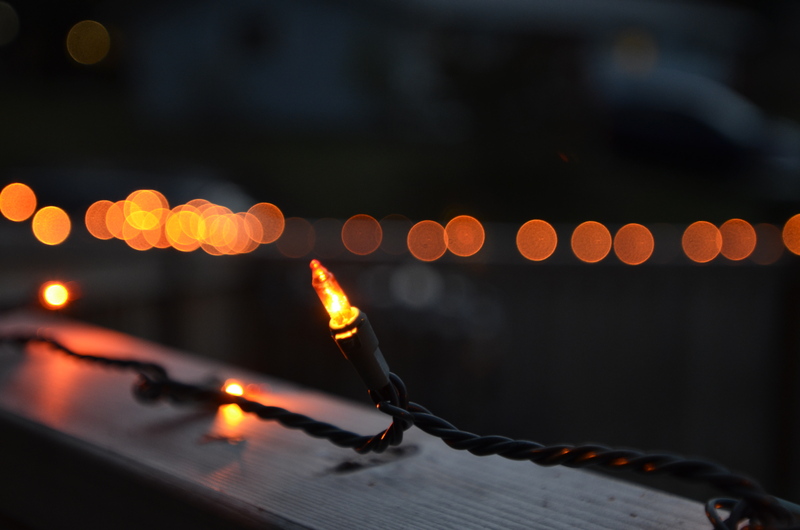 It’s no shock that people often become depressed during the holidays. I always felt hurried or tense during Christmas time. I don’t know what that say’s about me or my upbringing, but that’s just how I felt. Like I was always waiting for something. Catarina loved helping to carve pumpkins. Stress free and all about fun. I get candy, I get to give candy. There’s costumes and pumpkins and fake spiders. What’s not to like? My parents always did Halloween right growing up. Fully decorated house, costumes parties, scary movies and plenty of Halloween candy. 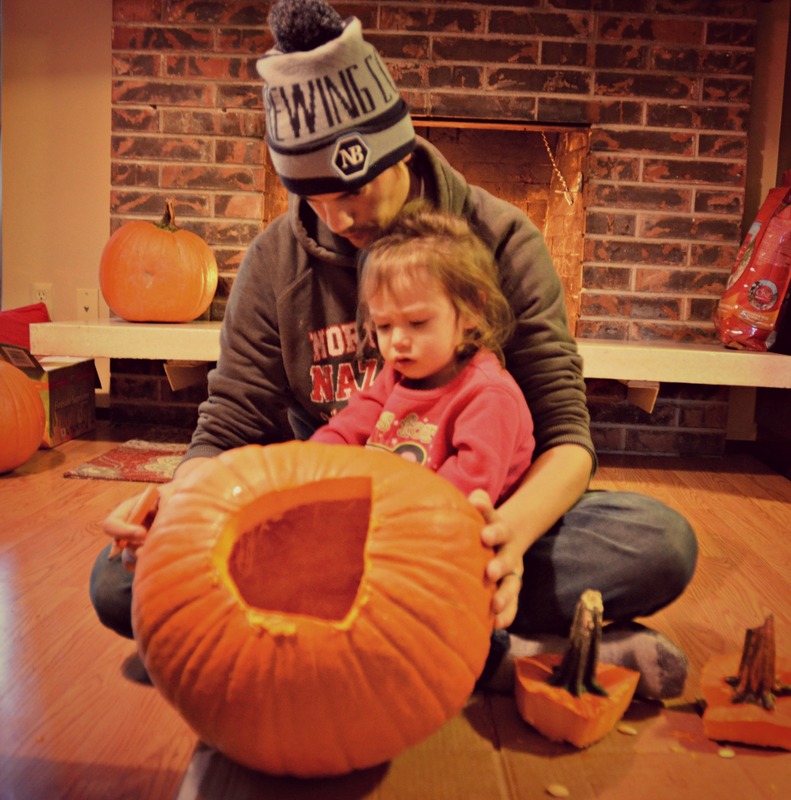 We would always carve pumpkins while listening to Halloween music. It’s a tradition I am passing on to our daughter. When I met Craig he had no opinion about Halloween whatsoever, in fact he still doesn’t, but he’s come around to celebrating with me. When he was trying to woo me he invited me over to his house to carve pumpkins one night. It was not something he usually did, but he knew I loved doing it so when he suggested it I knew this was his way of showing me he cared about me. So we went and picked out pumpkins together and then carved them up. Now we do it every year! We even got his parents to carve pumpkins with us one year and had a lot of fun. Catarina helps Craig trace out the face for her jack-o-lantern. See, no stress. No worrying about finding the right Christmas present, or cooking the perfect turkey. No locking yourself in your room so you can wrap a dozen presents on Christmas Eve (hi mom) or that empty sad feeling you get after you eat your weight in stuffing and pumpkin pie. Nope, just pure unadulterated fun. So tell me, what do you think about Halloween now? We’re also big fans of Halloween 🙂 We like that the decorations can be functional as well as festive, so it’s fun not only to carve pumpkins but also to roast the seeds (and occasionally the pumpkin itself). We also try to have making costumes be a learning experience and part of homeschool. This year the Younger Fives are dressing up as skeletons, so they are learning about the human body to help make the stencils we’ll be using to turn their black shirts and pants. 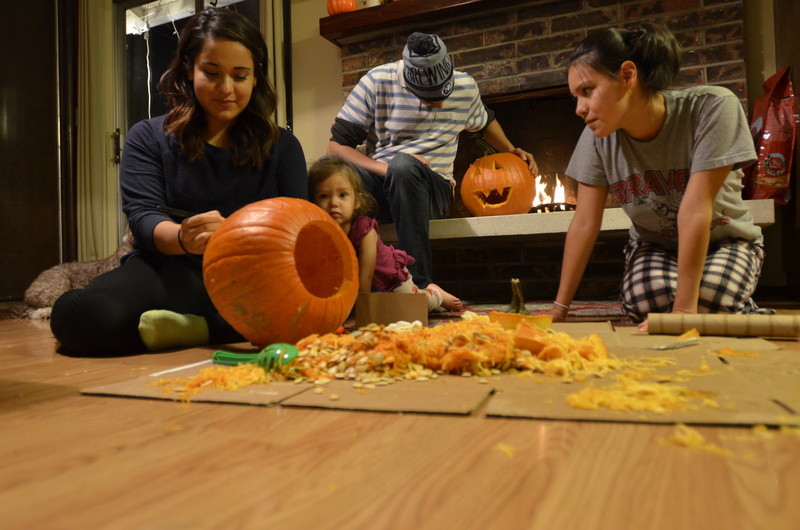 Thanks for sharing your family’s Halloween traditions! I love the skeleton idea! Such a great way to have fun while teaching your kiddos. Craig didn’t tell you about the year he came home from gathering candy from all the neighbors, but along the way he drug his sack and created a hole and all the candy fell out? That might be why he was slow to join you in your celebration but i’m glad he’s matured and enjoys the fun of it. i agree it is a fun holiday and i appreciate your many insights.